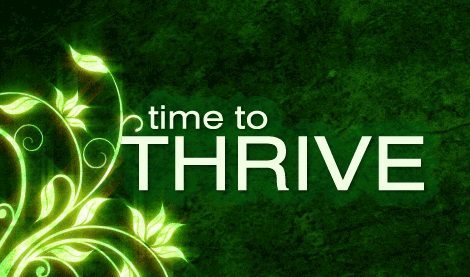 After Narcissistic Abuse: Things To NOT Do – Move Through, To Thriving! Pingback: After Narcissistic Abuse: Things To NOT Do – Move Through, To Thriving! Hi Sharon….. You are SO, so welcome. I am so glad my ‘work’ is helping you; there is so much we just don’t know in the beginning about narcissists, toxic relationships, what we should / shouldn’t do. Stay strong, and remember: Acting in YOUR best interests is NOT selfish. No one deserves to be in an abusive relationship – no one. These relationships will kill our souls over time. Please, take care of YOU. Best, L.A. Thanks so much for your advice. I broke only one of those rules. I checked his Twitter feed. I think that it made me realize I am the only one suffering oddly enough or made comes to terms with the fact that I need to focus solely on my healing and getting to know my new self. Examine my childhood traumas. Hi Karen: So much of what we repeat in adulthood does stem from childhood; trying to find stability, someone who genuinely cares for us, and through difficult childhoods many of us (in adulthood) give up our power to other people for any number of reasons. PLEASE do NOT feel shamed or embarrassed or guilty for checking social media – so many of us do that too – we are human after all! The key there however, is to know that when we do check, we do look at pictures and posts, we are actually inviting more pain to find us. Yes, dedication (100%) to YOUR life, your recovery, your healing, rebuilding your life, reclaiming your power, your peace – your BALANCE – is the way to go here. Think of it this way: Every single decision (each one!!) either moves you closer to healing, or further away. EVERY SINGLE DECISION. Over time, I hope you are less ‘tempted’ to check social media – and each day that passes without doing so, the STRONGER you will be able to deny that temptation. CONGRATULATIONS on your ‘new’ life – free from abuse! Thank you for writing! !